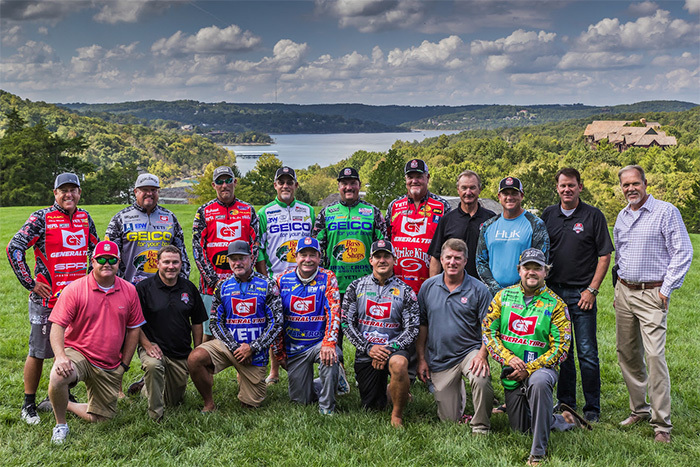 In October 2018, Major League Fishing released a list of the 80 anglers who will be fishing the Bass Pro Tour in 2019. Now, MLF is thrilled to add Anthony Gagliardi and Jeff Sprague to an already outstanding lineup of the world’s top anglers. 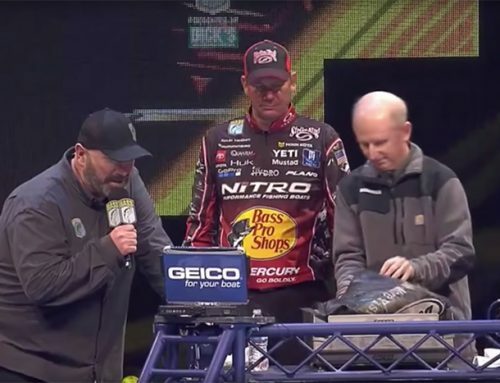 These anglers were able to join the Bass Pro Tour as a result of Gary Clouse’s decision to fish the Elite Series in 2019 and JT Kenney’s decision to come on-board full-time with Major League Fishing as an on-air analyst. One of the biggest names in the industry, Kevin VanDam, went live on Facebook to announce that he has chosen to fish the Bass Pro Tour. VanDam said, “It’s something that I’ve really thought long and hard about… I’ve lost a lot of sleep over what it is because the last thing I want to do is make the wrong decision or hurt the sport.” KVD has been fishing MLF since the first event in 2011 and he has taken home three MLF Cups. Boyd Duckett is the Co-Founder of MLF and he confirmed in a live interview with Bass Talk Live on September 25th that he will be participating in MLF competitions in addition to running the Pro Bass Tour Anglers’ Association (PBTAA) with Gary Klein. Another angler who chose to use humor in his announcement, Montgomery wrote “MLF has already had a significant impact on my career. After some lengthy conversations with myself it became obvious MLF was the place for me,” in a Facebook post. Montgomery started fishing the MLF Selects in 2014 and he moved up to the Cups in 2016. Alton Jones went live on Facebook to announce that he will continue fishing with MLF. Jones is another one of the original MLF pros who competed in the first event in 2011. In his live announcement, he said “This is going to be huge for our sport. Everybody in fishing is going to benefit from that.” Jones also explained that the MLF format is best for the future generations of anglers, and he mentioned that he’s looking forward to competing against his son, Alton Jones Jr.
Partnering up with long-time friend Mike McClelland, Lintner went live on Instagram to announce he was making the switch to MLF in 2019. 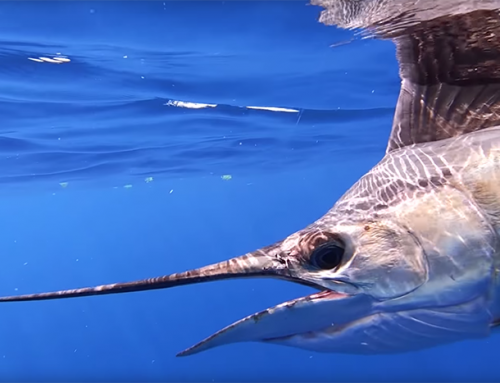 He’s excited to fish the format and experience what he believes is the future of the sport. Mike McClelland hung out over the grill with good friend Jared Lintner and said that although they disagreed on a lot of things as friends, he was excited to finally be fishing MLF full-time with his friend and all the other great guys at MLF. Ott DeFoe and his wife, Jennie, went live on social media to announce their commitment to MLF. He said, “For us, this decision had very little to do with what the payouts or what the entry fees are going to be… What made our decision is the kind of exposure that’s being presented.” He says that’s what will grow the sport more than anything. Cody Meyer posted his announcement on Facebook, explaining that he’s “SUPER EXCITED” to fish with MLF in 2019. He wrote, ”I am humbled, honored for this amazing opportunity and can’t wait for 2019! I want to personally thank FLW for making me the person I am today and for the opportunities they have given me! It’s time to embrace the past and ATTACK THE FUTURE! MLF, here we go!” Meyer started fishing the MLF Selects in 2017. Jacob Wheeler started fishing the MLF Selects in 2014 and he became the youngest angler to qualify for the Cups in 2017. Wheeler published a clever video announcement on his YouTube channel. It’s a parody of LeBron James’ announcement to play for the Miami Heat in 2010. Cliff Crochet is another pro who will be new to MLF in 2019. He made his decision public on social media, writing, in part, “B.A.S.S has been the only tournament trail I have known and I am for thankful to everyone there for my 9 amazing years fishing the Elite series. This decision was not easy, but I am going to fish the MLF Bass Pro Tour next year. It is going to be an exciting time fishing a new format and I am honored for the opportunity. Thank you to all my fans and sponsors for their support. Gerald Swindle is a former MLF Select angler and he went public with his decision to fish the Bass Pro Tour on Facebook Live. He explained that he’ll always support B.A.S.S., FLW and MLF but he chose to fish the Bass Pro Tour in 2019. He said it’s the hardest decision he’s ever made and he asks fans to support all pro anglers, regardless of the league they’re fishing. Mark Rose announced his decision to fish the Bass Pro Tour on Facebook. He wrote, in part, “After much prayer and communication with my sponsors, I wanted to announce that I will be fishing Major League Fishing’s Bass Pro Tour next year. I am looking forward to this new chapter in my career! This is more than just a new trail, it’s an exciting new movement in our sport that I am honored to be a part of. This will also bring new outdoor ministry opportunities that I am looking forward to…my heartbeat!” Rose has been fishing the MLF Selects since 2014. Randy and Robin Howell posted a ‘Loveseat Update’ on Facebook to share the news that Randy will be fishing the Bass Pro Tour in 2019. He explained, “This is another dream, another level… We’re legacy-building now.” Howell started competing in MLF events in 2012, and joined the MLF Selects full-time in 2014. Aaron Martens went live on Facebook to announce his commitment to MLF, saying, “I couldn’t pass this by.” Martens has been fishing the MLF Cups since the first event in 2011. He says MLF’s expansion will benefit all anglers. The Roumbanis’ posted a “Big Reveal” video announcement on social media. It was a clever twist on the popular gender reveal videos that you see all over the internet, but instead of pink or blue, Fred and Julie Roumbanis filled a balloon with red confetti and popped it. Fred started fishing the MLF Selects in 2015. Big Fish Bobby Lane shared one of the cutest announcements that we’veseen yet. He posted a video with his three kids on social media, saying, “Our future is bright. We’re going to Major League Fishing.” Lane is the 2017 MLF World Champion and he’s another one of the original MLF pros who have competed in Cup events since 2011. Takahiro Omori posted his announcement on social media, writing, “I wanted to announce that I will be fishing Major League Fishing Bass Pro Tour for 2019. I want to thank all my fans and sponsors for their support over the years. I couldn’t have done it without you. Thanks to B.A.S.S. for giving me the opportunity to build my career. I look forward to a great future with MLF.” Omori has competed in all of the MLF Cups events. Luke Clausen will be new to MLF in 2019. He showed off his sense of humor, and his photo editing skills, when he posted his announcement. 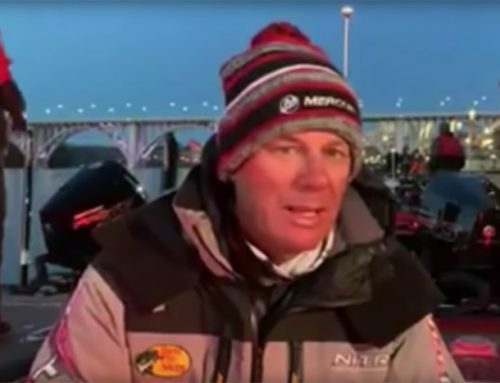 Shaw Grigsby went live on Facebook to explain why he will be fishing the Bass Pro Tour in 2019. He said, “This is the best thing to happen for anglers that I can ever imagine happening… This is our opportunity to run the show.” Shaw has been competing in MLF since the first event in 2011. Stephen Browning will be new to MLF in 2019. He made his decision to fish the Bass Pro Tour public on September 29th, writing on social media, “‘You miss 100 percent of the shots you never take’ – Wayne Gretzky,” along with the hashtags: #changeisgood and #weighemall. Todd Faircloth announced that he will fish the Bass Pro Tour in 2019. In a Facebook post he wrote, “After lots of prayers and much consideration, I have accepted the invitation to join Major League Fishing for the 2019 season. I feel that this decision is the best move for me both personally and professionally. I CANNOT WAIT for the 2019 season to kick off. I feel this is a very exciting time not only for the anglers but also for the fans. I am looking forward to what the future has in store for me, my family, and this sport!” Faircloth started fishing the MLF Selects in 2014. Adrian Avena posted a video on social media, showing him making an announcement to a group of young anglers at his 6th Annual Youth Fishing Event in New Jersey. He explained that he has chosen to fish the Bass Pro Tour in 2019. He said, “A lot of my friends, they made that switch, and I’m not doing it to follow the leader by any means but I honestly think this is the next thing for our sport. It’s going to take fishing to the next level.” Avena will be new to MLF in 2019. Wesley Strader went live on Facebook to explain why he decided to fish the Bass Pro Tour in 2019. He said, “I believe in my heart that it’s going to be good for everybody, all the way around.” Strader says it was a very tough decision and he won’t forget where he came from. Strader started fishing the MLF Selects in 2016. James Watson posted a video of himself in a Jon boat on Facebook, exclaiming that he won’t be needing a livewell next year because he’ll be fishing the Bass Pro Tour in 2019. Watson started fishing the MLF Selects in 2014. Andy Morgan posted a video on Facebook announcing that he will join the Bass Pro Tour, saying, “I’m excited to say that Andy Morgan is MLF-bound this upcoming 2019 season.” Morgan will be new to MLF in 2019. Mike Iaconelli was the final angler to announce his commitment to MLF before the original list of anglers was released on October 3rd. Iaconelli has been competing in MLF Cup events since the inaugural event in 2011. His Facebook post read, in part, “As I move forward in the next phase of my career, I’m keeping THREE things at the top of my list on what’s most important and what I will be focusing on. First, is the growth of the sport! Like many other anglers I’m SO focused on getting new people, especially kids involved in the sport of fishing! Though my new Nat Geo Wild TV Show Fish My City, I’m going to be able to reach new people on a global scale and help share my passion for fishing! Through the Ike Foundation, we are helping to get kids fishing especially kids that may have never had the opportunity to hold a rod or fight a fish! Second it is SO SO important at this time for ALL the professional touring anglers to ban together! Now is the time for us to organize as brothers in the sport we love. We need to organize above and beyond the three leagues to create an association that will look out for the best interest of our full time touring professionals! This group will be a watchdog to help stop any of the bad practices that have happened in the past. And provide opportunities for pro angler like other athletes in other professional sports. Health insurance, retirement plans, legal representation, creating standards, and ultimately providing pro anglers a TRUE voice in their own destiny! We have to do this not only for us now, but for the next generation of young aspiring pro anglers!